Event sponsorships are often a huge piece of the revenue picture for fundraising events. Growing and solidifying that sponsorship base requires getting beyond the personal relationship of a board member (although that’s a very important place to start). In this article, I explore the ways your event website should support your event sponsorships and add value to your package. Increase sponsor exposure through your dedicated event registration website. Create a dedicated event website. A dedicated, “evergreen” event website provides significantly more flexibility for you to highlight sponsors all year. Place sponsor logos throughout the site and not just on a sponsor page. The only people who click on a page labeled “Sponsors” are other nonprofits looking for sponsors. The sponsor logos should be placed in locations that are organic like the home page, ticketing pages, honorees announcements etc. Dedicate the website name to your lead sponsor. In most systems, you have the ability to name your website and many just default to the standard event name. Use your presenting sponsor in the website name so that all online sharing includes the lead sponsor. This one step creates exponential exposure for your presenting sponsor. Direct visitors to your sponsor's social media channels. Use your website content to encourage visitors to follow your sponsors. If you can effectively deliver followership to your sponsors through your event, you bring a tangible ROI to that sponsor. Include sponsor logos or an offer on your event ticket. Sponsors love nothing more than to see hundreds of people walk through the door with a piece of paper and their logo emblazoned across it (or better yet an OFFER that encourages guest to use that sponsor). 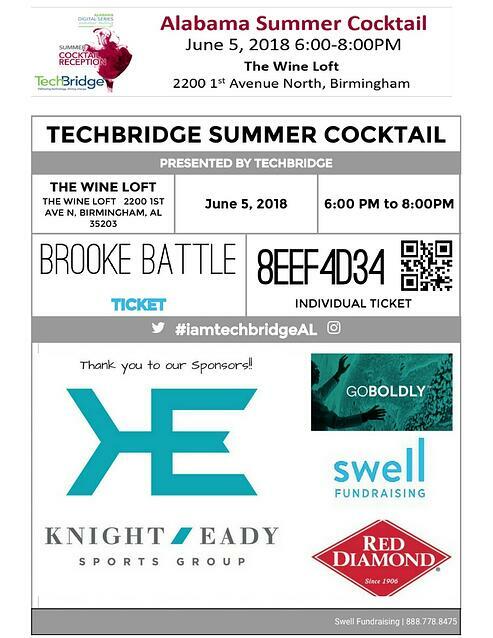 See example ticket with sponsor recognition below. Don't Forget the Ticket email. Every ticket/registration results in an email or text to the guest. Include your sponsors in that email response. 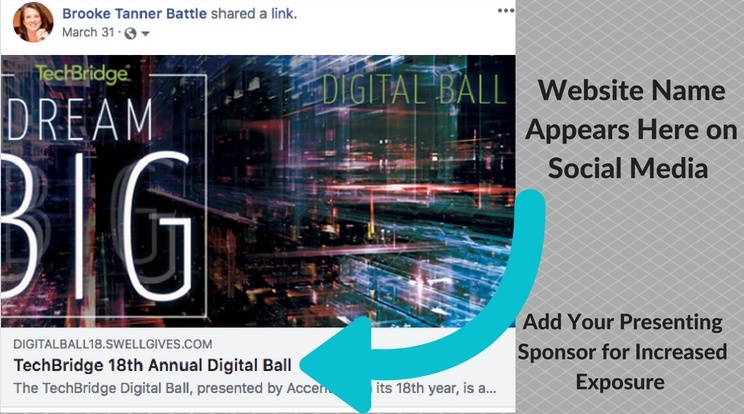 Create header images for Facebook/Twitter/LinkedIn that include your event AND leading sponsors. Distribute this header image to your board, event committee and any that are closeenough to consider changing their cover images in advance of an event. (Need help creating header images -- check out Canva). Cross post and celebrate the work of your sponsors. Create online connections actively. Events with a strong online presence can reach FAR beyond those who actually attend. For example, a dinner event of 300 guests created the following tangible online activity: 26,000+ unique site visits; 65K+ 28-day Facebook reach; 110 twitter mentions; and increased engagement scores for sponsors and the nonprofit organization. Offering this type of reach and data for event sponsors helps to ensure your event sponsors stay and grow with you. Need more ideas for your Event Sponsorship package? Here is a summary of all our posts on the topic.